DALLAS – Nov. 29, 2018 – Glen Carter woke up on a white linen bed inside a psychiatric unit, the excruciating pain in his shoulder mingling with a growing sense of alarm. How had he arrived here? What was wrong with his shoulder? 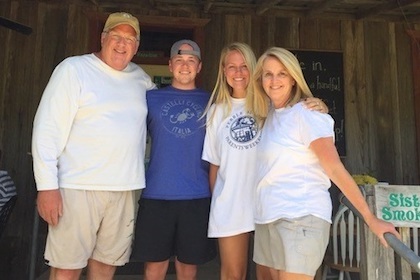 Mr. Carter later learned he had driven to UT Southwestern for help and had been acting erratically – hearing voices, seeing visions, and sputtering to doctors thoughts of his imminent death. “I had no recollection of any of it,” said Mr. Carter, 58. Glen Carter (left) had been a pillar of stability for his children (middle) and wife Janet (far right) until last year when he began behaving increasingly erratic. A UT Southwestern doctor determined Mr. Carter was not schizophrenic but instead had a rare autoimmune disorder. The uncharacteristic behavior indicated a potential case of schizophrenia, yet his doctor noticed a few factors that didn’t add up. For instance, the longtime husband and father of two had no history of mental illness and had a severely dislocated shoulder usually only seen after major trauma such as car accidents or seizures. The doctor ordered X-rays, brain imaging, and other tests that confirmed his suspicion: Mr. Carter did not have schizophrenia but rather a rare form of brain inflammation that would not have been reversed with antipsychotic medication. Mr. Carter was the beneficiary of a blend of medical training that until recently was only offered to a select group of doctors on the East Coast: combined certification in psychiatry and neurology. Following a lengthy national moratorium that prevented medical schools from adding the dual training, the country’s newest such program at UT Southwestern represents a modest but notable step in filling a lingering national shortage of physicians skilled in the two fields. The effects of the shortage are sometimes as benign as a slightly delayed diagnosis, but in extreme cases, patients may bounce from clinic to clinic and meander through a series of misdiagnoses and ineffective treatments, wreaking havoc on their personal and professional lives. A similar ordeal was publicized in the autobiography and subsequent film “Brain on Fire,” the story of a journalist who was mislabeled as having a primary psychotic disorder until she – like Mr. Carter – was diagnosed with autoimmune encephalitis. 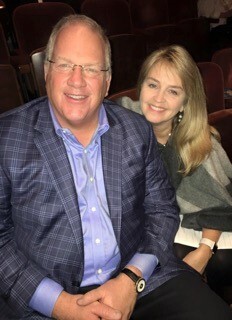 Coming up on the one-year anniversary of Mr. Carter’s diagnosis, the bond broker is enjoying a holiday season much different than the last, when his normally joyous time with family and friends was riddled with emotional distress and medical mystery. 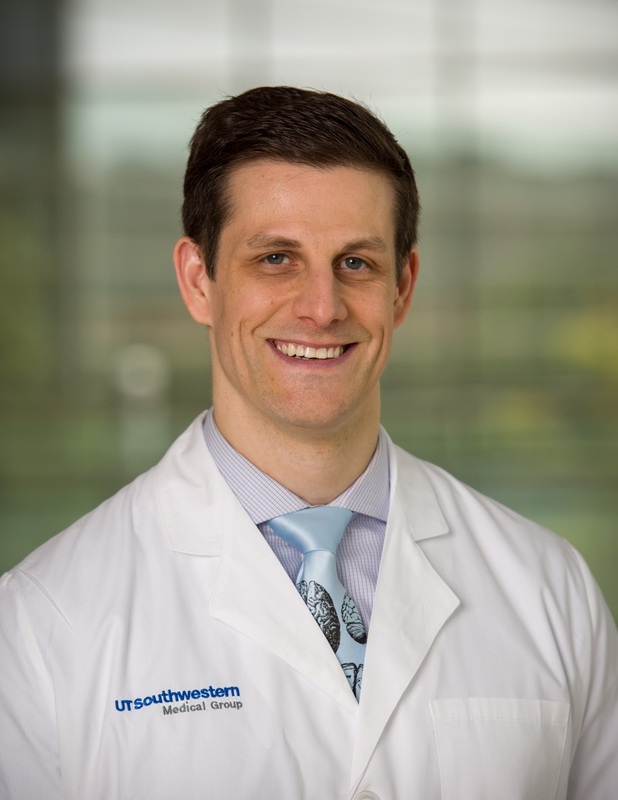 Dr. Robert Weir helped develop the curriculum for UT Southwestern’s combined residency program for neurology and psychiatry. Dr. Weir is encouraged to hear about the impact his expertise had on Mr. Carter, who no longer needs treatment for the condition and hasn’t missed any significant time from work this year. Only five medical centers across the country offer the combined training, each one producing less than a handful of doctors a year – not nearly enough to cover the country’s vast expanse of patients who could benefit from their integrated skills. UT Southwestern took its first step to create the curriculum after the national board that certifies these programs lifted a five-year moratorium on submitting applications in 2014, due to a change in certification protocol. The addition of the Dallas-based program – the only one approved since the freeze was lifted – will only slightly help the overall physician numbers. However, it will likely play a crucial role in expanding access for patients who don’t live out East. Other programs are at places such as Brown University and the University of Massachusetts. UT Southwestern offers a six-year combined residency for doctors that includes a clinical track dividing time between neurology and psychiatry. 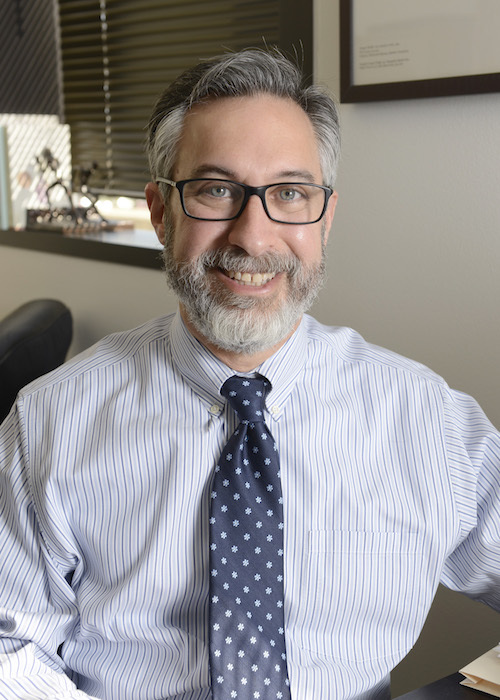 The expertise has been helpful in diagnosing patients like Mr. Carter with rare autoimmune disorders, as well as a number of other conditions with overlapping symptoms, including epilepsy, Alzheimer’s disease, multiple sclerosis, and Parkinson’s disease. The creation of the country’s newest program comes amid a growing push to utilize neurology tools in psychiatry, including an award-winning approach to objectively diagnose and treat different types of psychoses through evaluating neural images and electrical activity in the brain, among other strategies. National clinical trials are also providing early glimpses into how these high-tech tools – including magnetic seizure therapy – may impact treatment in depression and psychosis. Mr. Carter had been a pillar of stability for his family. The breadwinner, the caring husband, the father who helped raise two children. Then his life unraveled last year when he began having hallucinations. He took anxiety medications, but his condition only worsened in the following months. On one occasion he thought he was having a heart attack. Another time he asked his wife if she could hear God talking to her too. Her husband reached a breaking point on Dec. 8, 2017. Shortly after arriving at work, he drove himself to UT Southwestern and was admitted into the psychiatric unit, where Dr. Weir was on rotation that month. Glen (left) and Janet Carter had tried for months last year to pinpoint the reason for Mr. Carter’s increasingly erratic behavior. He was eventually diagnosed with an autoimmune disorder at UT Southwestern. Dr. Weir recalls Mr. Carter acting strangely, taking his clothes off and putting them in the shower, predicting his own death within 12 hours, and hearing voices in his head. Mr. Carter’s injured shoulder, likely dislocated during a seizure, set Dr. Weir on the path to solve the mystery that had perplexed the family for months. He was not schizophrenic after all. He suffered from autoimmune encephalitis, which occurs when the body’s immune system attacks healthy brain cells and inflames the brain, sometimes prompting psychiatric symptoms. Mr. Carter was given steroids – a treatment that normally could be harmful to a hallucinating patient – and was back to normal within several days. Mr. Carter’s case is not unique. One study indicates at least 3 to 5 percent of psychotic behavior first seen in patients is due to an autoimmune condition. How many of those patients are accurately diagnosed the first time and put on proper treatment is more difficult to determine. Although awareness of autoimmune encephalitis has improved since the “Brain on Fire” book published in 2012, some doctors anticipate the demand will only grow for combined training in neurology and psychiatry. According to a prominent Wisconsin LLMD, 80% of his patients have tick borne illness along with PANS/PANDAS as well as Autism. If a child has an abrupt change in behavior such as the man in the main article, please consider this and get him to someone trained in this area.